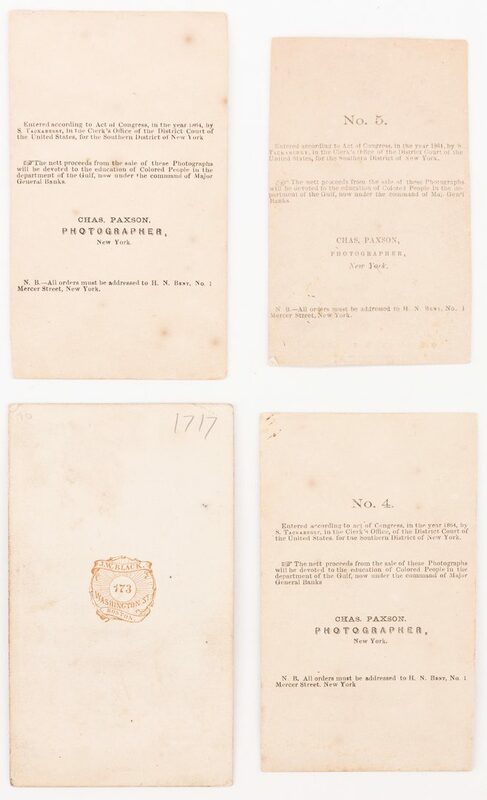 Four (4) Civil War era Cartes de Visite depicting "slave children" from Union-occupied New Orleans. 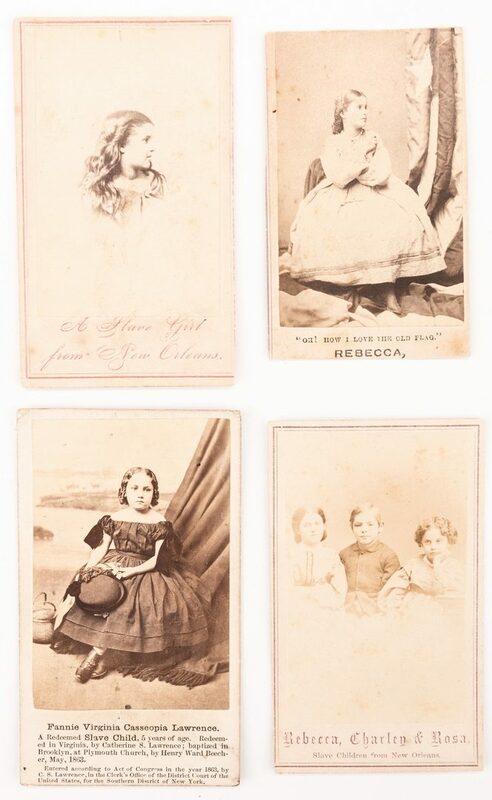 1st-2nd items: Two (2) CDVs depicting Rebecca Huger, one captioned "Oh! 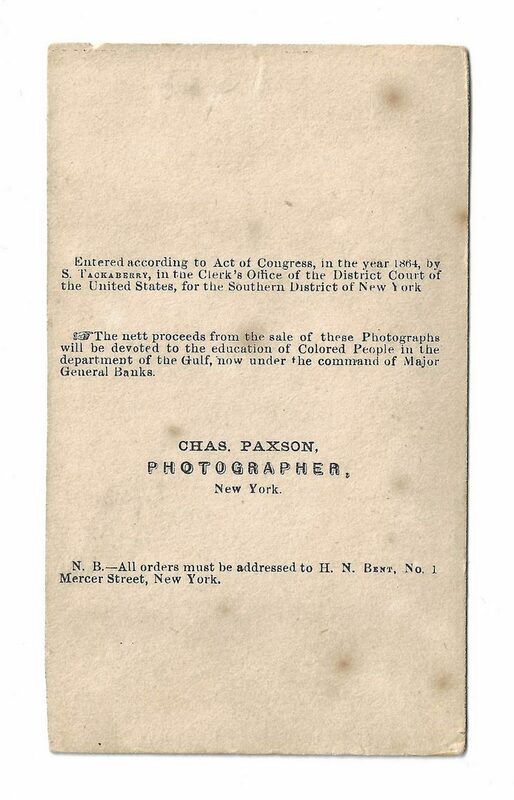 How I Love the Old Flag", one captioned "A Slave Girl from New Orleans". 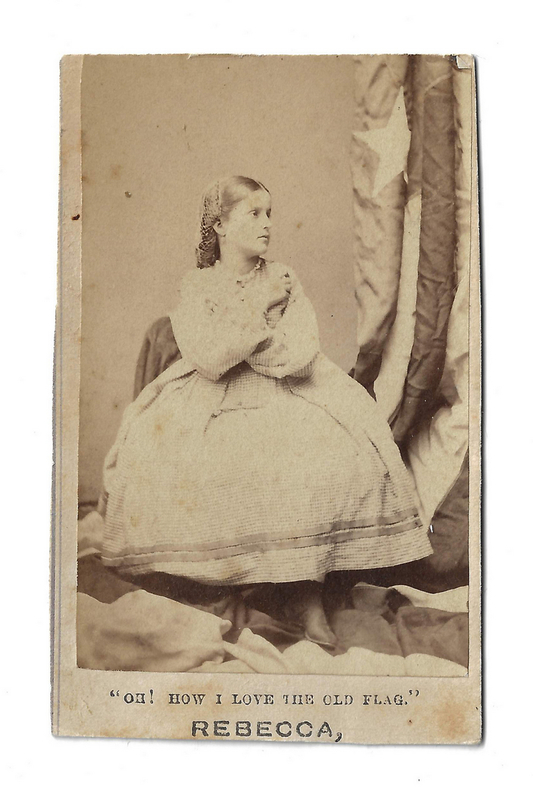 Rebecca appears dressed in mid 19th century clothing in a studio setting, one with the American flag draped behind her. 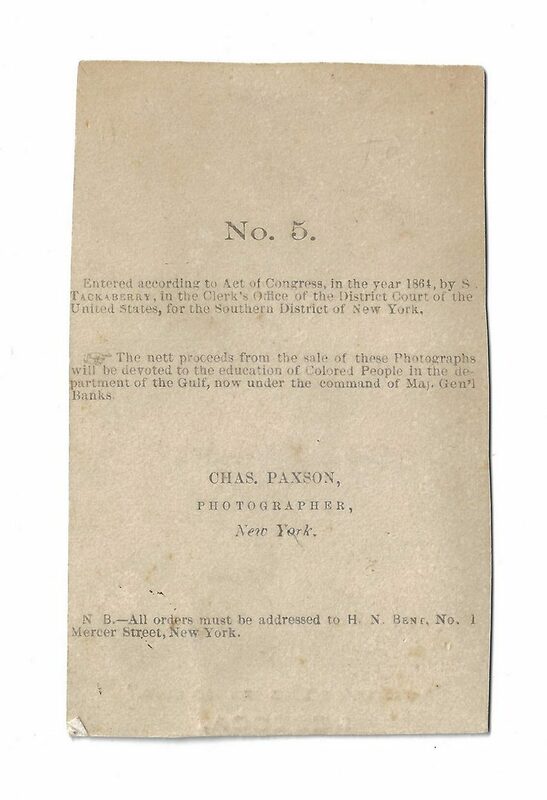 Charles Paxson, Photographer, New York, studio marks with additional text, en verso. 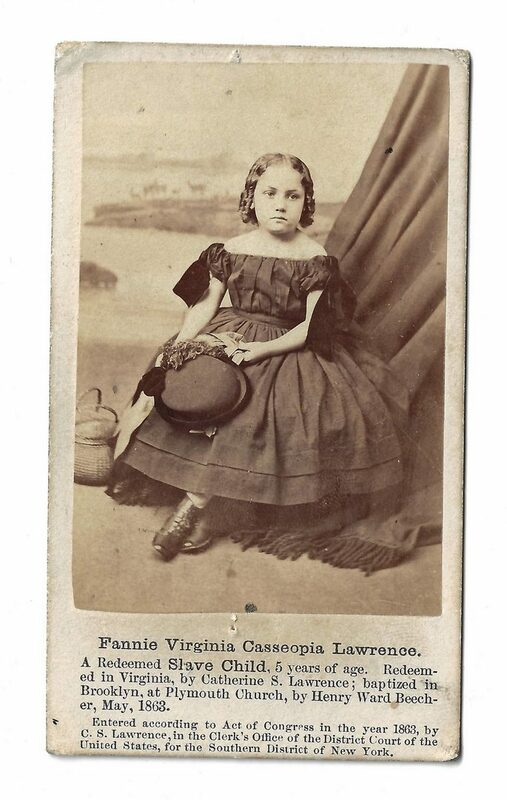 CDVs range in size from 3 5/8" H x 2 3/8" W to 4 5/8" H x 2 1/2" W. 3rd item: CDV depicting Fannie Virginia Casseopia Lawrence, captioned "A redeemed Slave Child, 5 years of age. 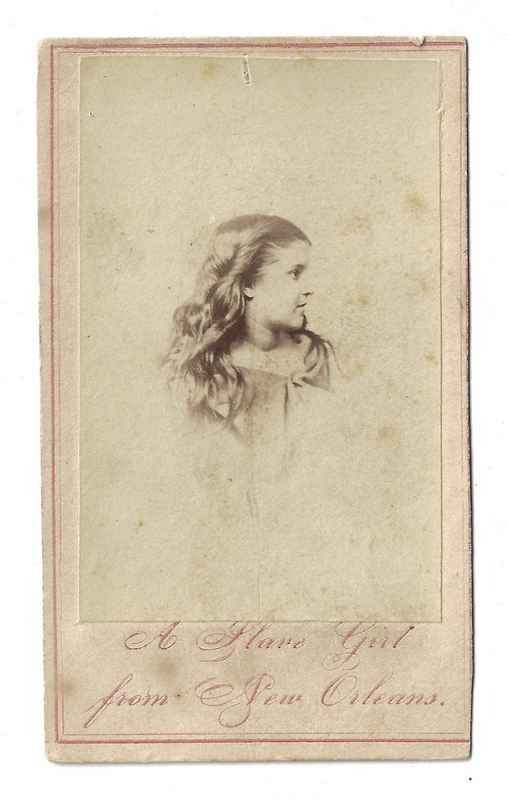 Redeemed in Virginia, by Catherine S. Lawrence; baptized in Brooklyn, at Plymouth Church, by Henry Ward Beecher, May, 1863". Fannie May appears dressed in mid 19th century clothing holding a hat, a studio landscape backdrop behind her. J. W. Black, Boston, studio mark, en verso. 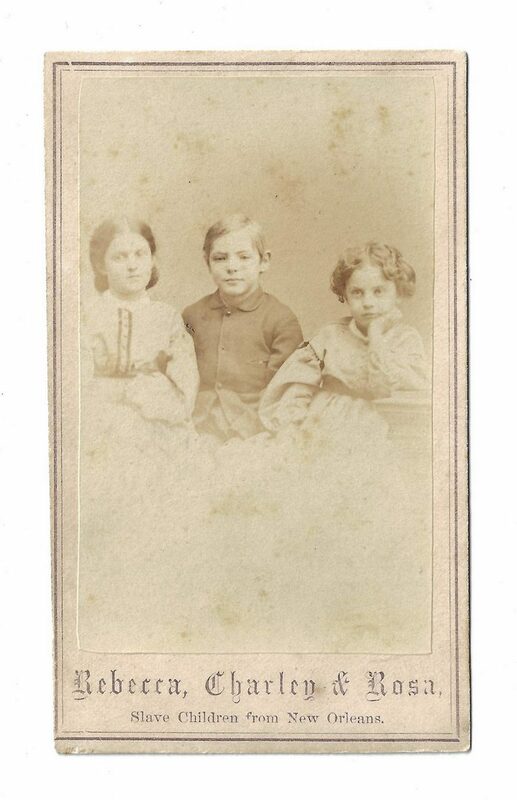 4 3/8" H x 2 5/8" W. 4th item: CDV depicting Rebecca Huger, Charles Taylor, and Rosina Downs, captioned "Rebecca, Charley, and Rosa, Slave Children from New Orleans". The children appear in mid 19th century clothing in a studio setting. Charles Paxson, Photographer, New York, studio marks with additional text, en verso. 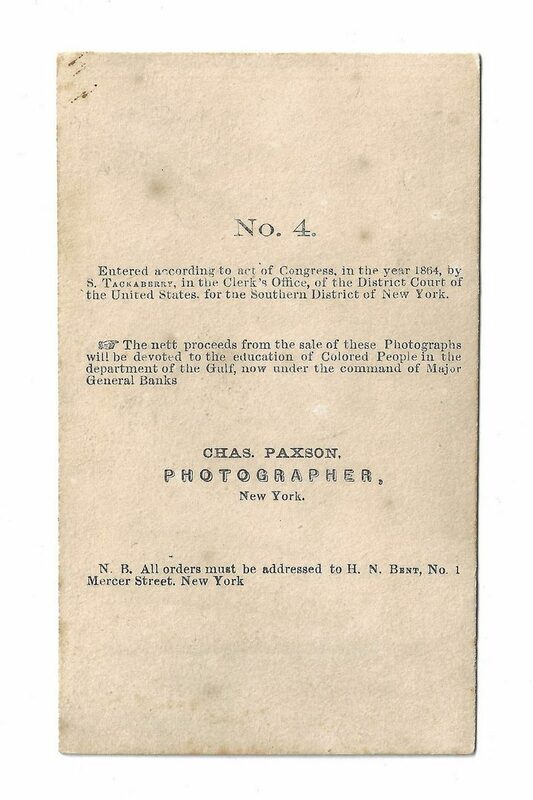 4 1/8" H x 2 1/2" W. Note: for an interesting discussion of these photographs, ref. "The Young White Faces of Slavery," Mary Niall Mitchell, The New York Times, Jan. 30, 2014 – https://opinionator.blogs.nytimes.com/2014/01/30/the-young-white-faces-of-slavery/ and "Slave Children of New Orleans, 1863" by Charles Paxson – https://www.gilderlehrman.org/content/slave-children-new-orleans-1863 CONDITION: Overall good condition. 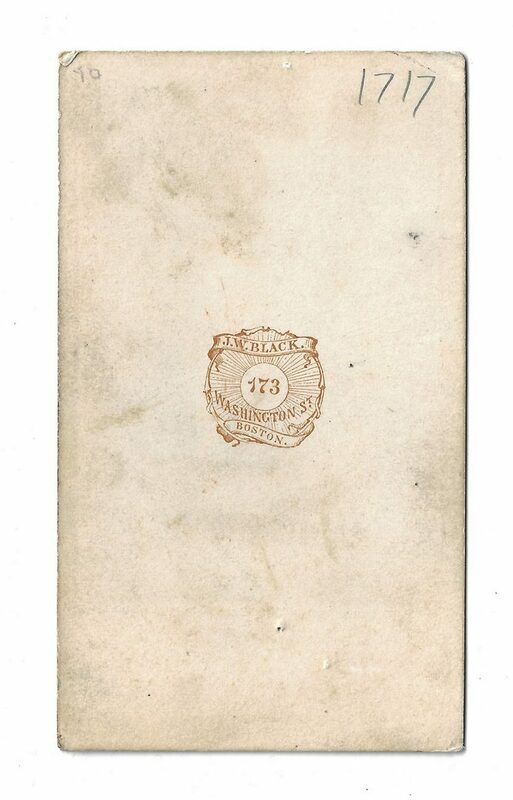 Minute foxing spots, areas of acid burns, surface of CDVs.